Wild: Tapejara Imperator is a marvel to watch in the wild. It has astonishing agility compared to the Island’s other flyers thanks in large part to the rudder-like fin that extends from its snout to the back of its skull. Domesticated: Warlike tribes appear to consider Tapejara the equivalent of a versatile rotor aircraft, capable of rapid positional changes and aggressive agility. When domesticated the Tapejara is typically outfitted with a unique dual-rider saddle, enabling a passenger to wield handheld weaponry while the pilot takes the reins. 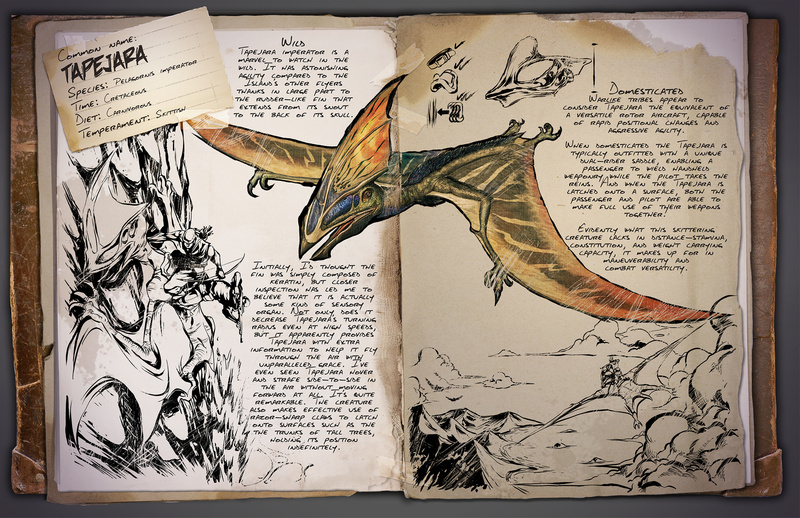 And when the Tapejara is latched onto a surface, both the passenger and pilot are able to make full use of their weapons together. Evidently what this skittering creature lacks in distance-stamina, constitution, and weight carrying capacity, it makes up for in maneuverability and combat versatility. Known Information: Initially, I’d thought the fin was simply composed of keratin, but closer inspection has led me to believe that it is actually some kind of sensory organ. Not only, does it decrease Tapejara’s turning radius even at high speeds, but it apparently provides Tapejara with extra information to help it fly through the air with unparalleled grace. 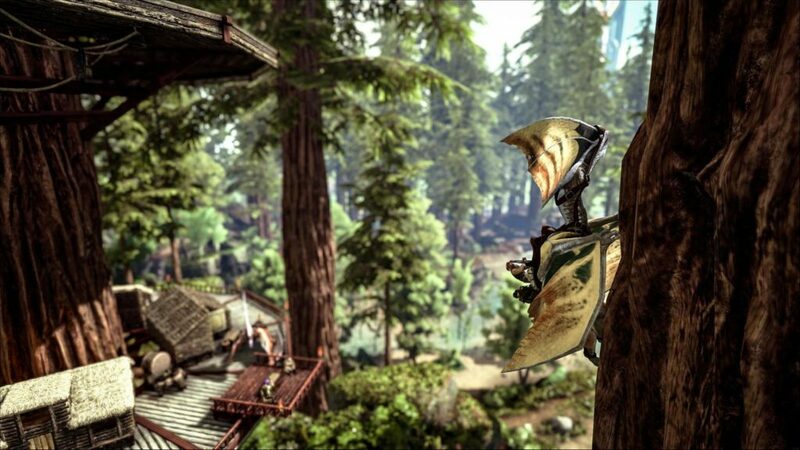 I've even seen Tapejara hover and strafe side-to-side in the air without moving forward at all. It’s quite remarkable. The creature also makes effective use of razor-sharp claws to catch onto surfaces such as the trunks of tall trees, holding its position indefinitely.